Go to the greenhouse, pick out a few plants and flowers, glaze over the shade to sunlight ratio, go home, plant. Seems like a fairly simple landscaping process, right? Unfortunately, this isn’t the case, yet many seem to do exactly that. At DBS, we follow a process for each and every home remodel; it’s what we call the design-build process, where we essentially take your renovation from concept to completion. Similarly to our design-build process, Adams Landscaping follows a process as well. Their process results in landscape/hardscape that not only boosts curb appeal and makes the home more inviting & enjoyable, but also increases the value of homes, too. In order to make a sound investment, one must first consider this key element of the landscape/hardscape process: timeframe. Much like the process of a home remodel, considering the timeframe first will help keep your project realistic and obtainable; consider when would you ideally like to have the project completed, and/or if there is an event that you’d like to have it finished in time for. Time plays a huge role when investing in landscape & hardscape, therefore it’s advised that you preplan your project; if you want to enjoy your landscape/hardscape throughout the Summer, then you should be preferably researching, and eventually hiring, a landscaping contractor by the fall or early winter. When considering the timeframe, also bear in mind size, as the two impact one another—the larger the project, the longer it will take to complete, so plan/preplan accordingly. Throughout the year, we at DBS hold educational seminars and provide homeowners with information about the importance of hiring the right contractor for their home remodel; the same school of thought is valued at Adams as well and is an essential part of the landscaping process. We all know that anyone can pick up a hammer, or in this case a shovel, and say that they are the right contractor for your job, however just because it’s said, doesn’t mean it’s true, nor does that mean the person’s qualified. 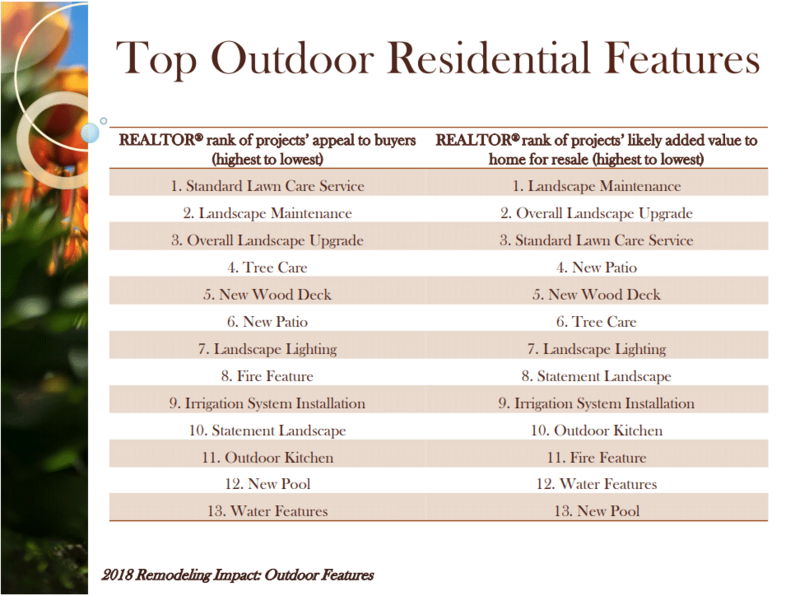 It’s advised that homeowners thoroughly research their potential landscaping contractor, and ask them similar questions to what we tell homeowners to ask for their remodeler: are you experienced in my project, do you have any references, will you be here every day, do you belong to any professional organizations in respect to your field? A key question to also ask your potential contractor is “do you have any sample job scopes & contracts I can review?” Any qualified contractor should be able to provide you with requested samples; pay attention to the details of the scope & contract and be sure to review it thoroughly. If a potential contractor cannot provide you with samples, or if the samples seem to lack in pertinent detail, it’s best to RUN—abandon the thought of hiring that person immediately! 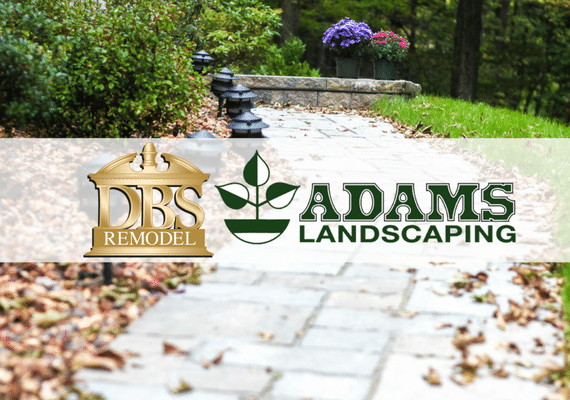 Both Adams Landscaping & DBS want homeowners to protect their investment, so it’s best to take your time with this step of the process, and again, thoroughly research who you’re about to hire. Patience & communication are two of the most vital necessities of the landscaping/hardscaping process. 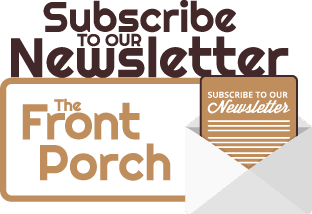 While at times it can seem a bit arduous, by maintaining open lines of communication with your landscaping contractor, it’s likely that nothing will be overlooked or mistaken. And though we live in a world that thrives off of “instant gratification” it’s best to be patient with the process. All good things take time, and you wouldn’t want someone to rush through a project that you’re investing in (and will hopefully add value to your home!) Therefore, patience is necessary. If you’re considering investing in a landscaping/hardscape project, we recommend calling our partners & friends at Adams Landscaping. 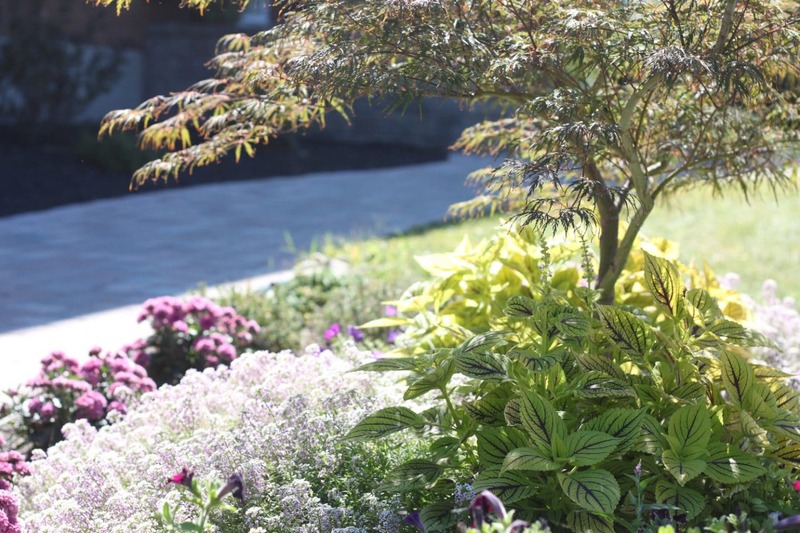 With over 50 years’ experience, Adams Landscaping offers both residential & commercial design-build services, as well as landscape supply. Their philosophy is to deliver high-quality products and workmanship, all backed by excellent customer service, and with that in mind, your landscape is sure to be a worthwhile investment that’ll be enjoyed for years to come! Visit them at their Poughkeepsie location, all call them today at (845) 454-1300.